Believing that hip-hop breaks the color lines by creating a forum for people to come together over a common passion, Versa-Style Dance Company will show you the social hip-hop moves you need to know to up your street cred. Jackie "Miss Funk" Lopez and Leigh "Breeze-Lee" Foaad will lead a high energy, community oriented celebration of hip-hop culture. Hip-hop, R&B and pop music from then and now will get your body moving as you pick up the moves and the history behind them. Versa-Style is a dance ensemble made up of young, committed and conscientious artists representing the diversity and beautiful complexity of Los Angeles. 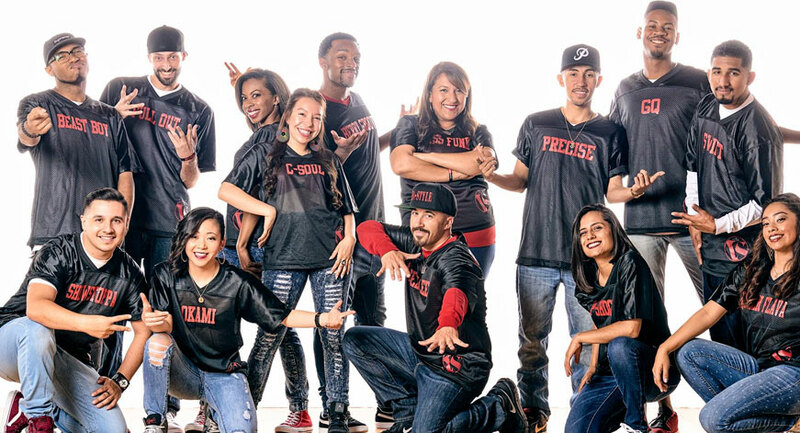 They create highly energetic work that fuses dances that are culturally significant to their community, including hip-hop dance styles such as '90s hip-hop, house, popping, locking, whacking and boogaloo, and Afro-Latin dance styles such as salsa, merengue, cumbia and Afro-Cuban, to name a few. As a reaction to the widespread media misrepresentation of these dance forms, Versa-Style specifically aims to perform for LA's youth to instill the roots, history and social and political issues surrounding the art of our generation.